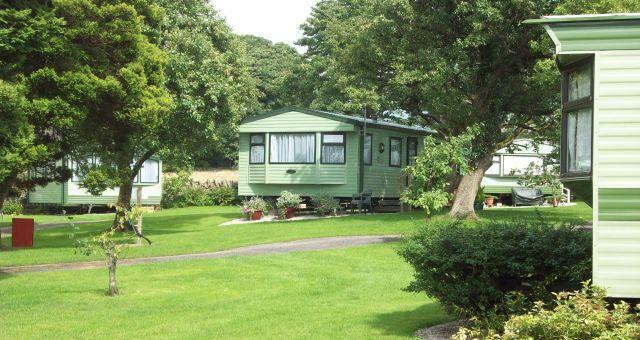 Greaves Farm Caravan Park015395 36587work Individual CaravanA small, quiet park, family owned and supervised. Beautifully situated in the old farm orchard, it offers peaceful holidays in a pleasant rural setting adjacent to a working farm. Within easy reach of main centres of the southern Lake District National Park, the historic village of Cartmel and Grange-over-Sands and close to many attractions and places of interest. Near to southern tip of Lake Windermere. 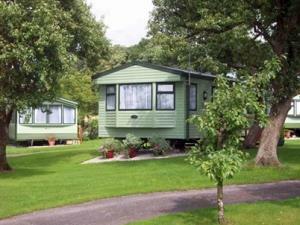 The park offers 2 high quality 4 berth holiday homes for hire, accredited by Visit England. Both vans are well equipped and maintained to high standards and are non-smoking. Dogs are only allowed in one of the vans. Short breaks accepted early and late season (min.3 nights) from £60 per night. Full tariff available on request. Greaves Farm Caravan Park offers weekly bookings starting on Saturday and sometimes short breaks. A small, quiet park, family owned and supervised. Beautifully situated in the old farm orchard, it offers peaceful holidays in a pleasant rural setting adjacent to a working farm. Most leisure activities available within 5 miles radius. Lake Windermere for water sports, pony trekking 3 miles, golf at Grange-over-Sands and pubs at Cartmel. Children welcome from any age. Leave M6 at jct 36, follow A590 signposted Barrow in Furness until approx 1 mile before Newby Bridge, just after end dual carriageway there are signs for Cartmel, 4 miles, on the left and Staveley, 1 mile. Turn left to Cartmel and proceed for approximately 1.5 miles, just before Field Broughton Church with spire, there is a sign on right-hand side of road for Greaves Farm Caravan Park. Turn left between the 2 bungalows and then take right hand fork. Enquiries to bungalow on right named Nether Edge. For Sat Nav use LA11 6HR. None of the caravans are specially adapted for the disabled.